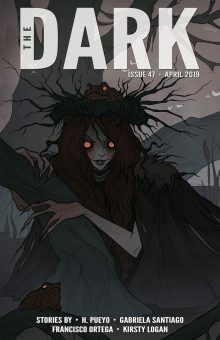 “The Flowering” by Soyeon Jeong, translated from the Korean by Jihyun Park and Gord Sellar, Clarkesworld Magazine, April 1. 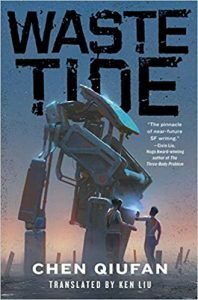 “In Search of Your Memories,” by Nian Yu, translated from the Chinese by Andy Dudak, Clarkesworld Magazine, April 1. 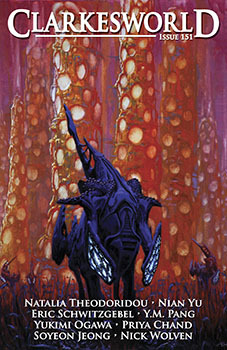 “The Last Journey” by Florin Purluca, translated from the Romanian by the author, SFinTranslation.com, April. 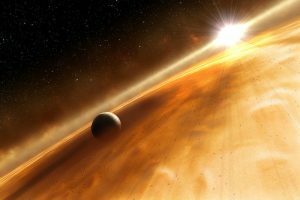 “Seventy-Seven” by by Francisco Ortega, translated from the Spanish by David Bowles, The Dark Magazine, April 4. 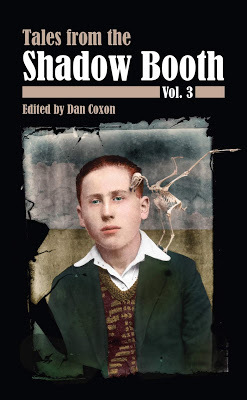 “I Have a Secret” by Raquel Castro, translated from the Spanish by Lawrence Schimel (Tales From the Shadow Booth #3, April). 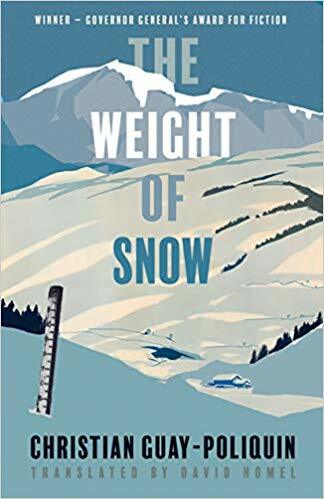 The Weight of Snow by Christian Guay-Poliquin, translated from the French by David Homel (Talonbooks, April 23). 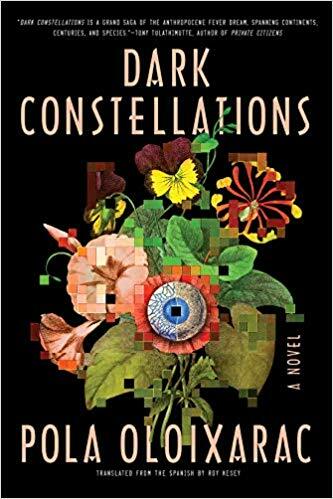 Dark Constellations by Pola Oloixarac, translated from the Spanish by Roy Kesey (Soho Press, April 16). 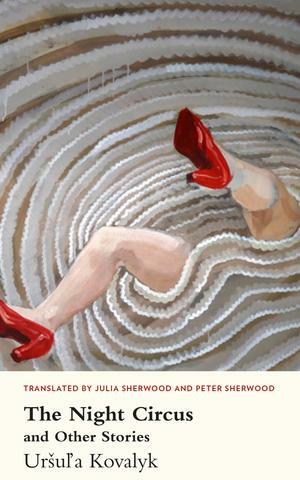 The Night Circus and Other Stories by Uršuľa Kovalyk, translated from the Slovakian by Julia Sherwood and Peter Sherwood (Parthian Books, April 1). 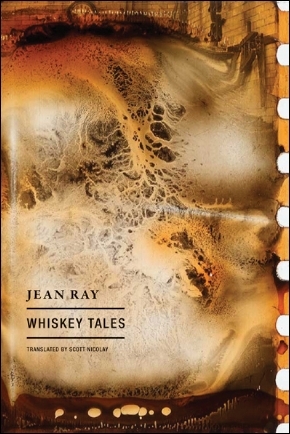 Whiskey Tales by Jean Ray, translated from the French by Scott Nicolay (Wakefield Press, April 23). 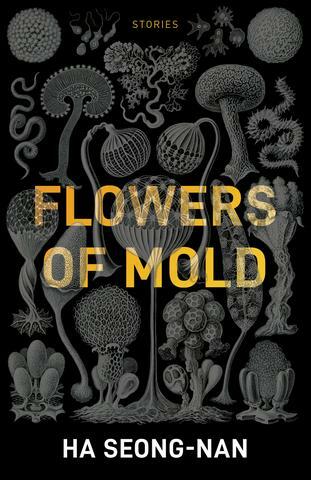 Flowers of Mold by Ha Seong-nan, translated from the Korean by Janet Hong (Open Letter Books, April 23).